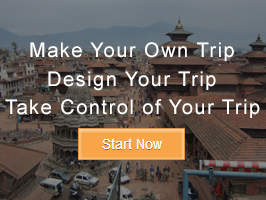 Enjoy the traditional village life in Nepal is truly based on the Eco friendly concept. Astam represents “Sunset Village”. It stands as the best example of an Eco village in and around Annapurna region. Astam is one of an unspoiled place in natural as well as a cultural aspect. They run an accommodation service with a concept of homestay in their own traditional Nepali home named as Annapurna Eco Village. The Eco-village Astam is located at an altitude of 1600m, some 20km northwest of Pokhara on the base of Annapurna. Visitors are provided to stay in several cottages are built up and managed in the traditional design using the Eco concept. The Homestay features the use of biogas pit for cooking, chemicals free but delicious foods, garbages reused and recycled. Cottages made by natural method following the true Eco footsteps and sustainable way of living. Using bio-gas helps to reduce the use of firewood and gas cylinder which helps to reduce the deforestation and pollution. Comfort and cleanliness are equally valued which provides a qualitative stay in the simple way. Thus, Homestay in Ecovillage Astam provides perfect opportunity to see Annapurna rising and setting over Annapurna as well as bird watching, butterfly photography, walking to traditional villages or treks to Annapurna Base Camp or Mardi Himal. After breakfast drive to the Eco village via Pokhara (7 hrs) reach & check in the eco village home. Enjoy a rest day or even help Shiva (owner) chase the chickens and cows out of the organic vegetable garden!